Are you as enchanted by purple as I am this week? 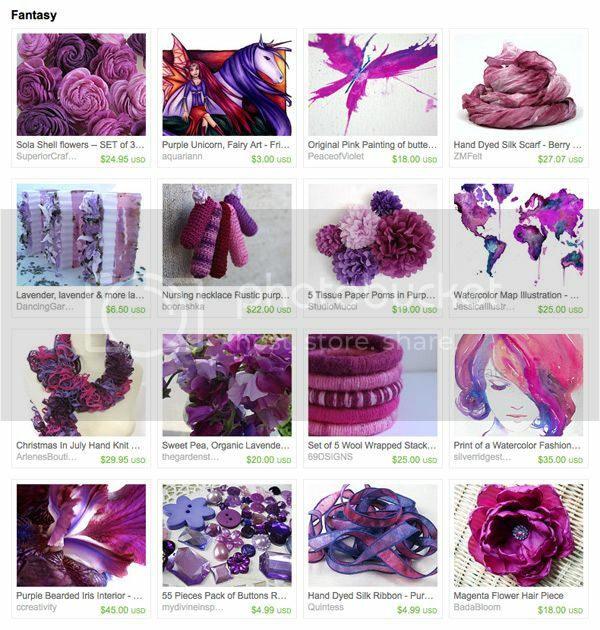 First I had to share my fuchsia flower photo, and am now featuring a matching Treasury Island team daydream by Meredith of Patchwork Crafters. Her whimsical gift ideas include purple bearded iris photo print by c. creativity photography, magenta flower hair clip by Bada Bloom and my purple unicorn magnet. Come Celebrate My Anniversary, Birthday, Cats and Cookies! I love that Magenta Flower Hair Piece. I've been wearing a lot more flowers in my hair now that it's less humid and I can wear my hair down again.